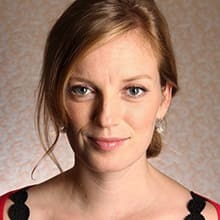 Sarah Polley's been acting her entire life. And more than almost anyone else, she does things her way, or not at all. By the time she was eight, Sarah was a Canadian star on 'Road to Avonlea.' By twelve, she was reportedly blacklisted by Disney for wearing a peace symbol to a White House dinner during the first Gulf War. Eventually, she quit acting and high school to become an activist. She even had two teeth knocked out by police at a protest. After that, she made her directorial debut with 'Away From Her' - a story about an elderly couple torn apart by Alzheimer's. Now, she's back in a new sci fi thriller alongside Adrien Brody called 'Splice.